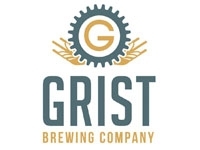 Located outside of Denver in Highlands Ranch, CO, the Grist Brewing Co. received a 20-Barrel, 3-Vessel Sprinkman Brewing System in 2013. “Sprinkman has continued to support and improve our brewhouse, bringing us new innovations, ideas and upgrades. Their customer service is unmatched in our industry. If it was an option, I'd have Sprinkman build everything that goes into our brewery.” - Rob Kevwitch, Founder, Grist Brewing Co.